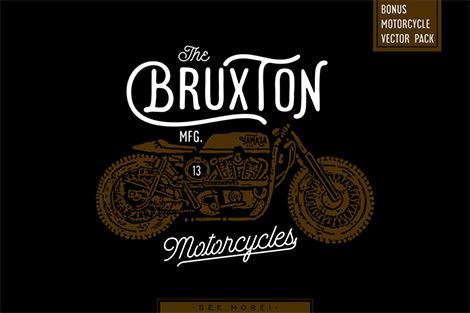 In recent years Script fonts have found a renewed interest. Known for their fluid and varied strokes these digital counterparts draw inspiration from sign painting of the past and present. Since they are based on the gestures of the written word, they can add warmth and personality to a design often making it more approachable. In today’s post we highlight a series of scripts from our Sponsor The Hungry Jpeg. Ranging in a variety of styles and weights the examples below represent just a small fraction of their current catalog. 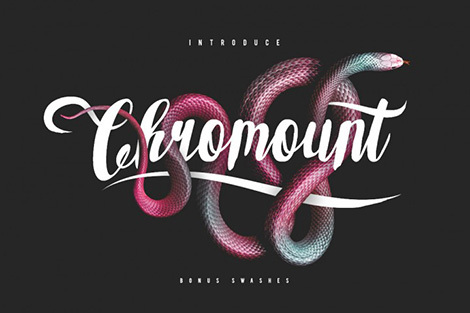 chromount – A brush script that’s a little rough around the edges. Complete with fluid swashes and stylistic alternatives. 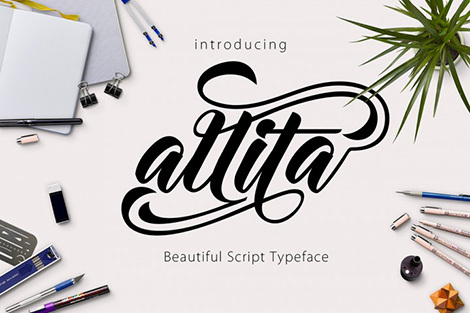 Allita Script – perfect for wedding invitations, greeting cards and logos. 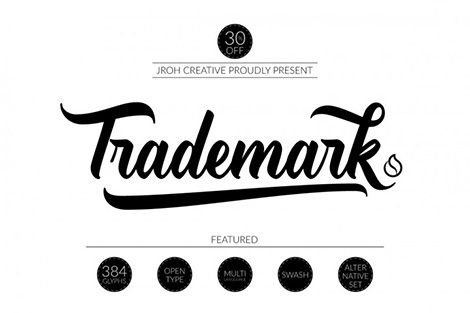 Trademark font – A slick script that can be applied to a variety of scenarios. In addition to the Script Fonts above The Hungry JPEG offers free design resources including mockups, photos and templates. Thanks to this week's Sponsor // RetroSupply Co. - the #1 online marketplace for retro inspired effects for Photoshop and Illustrator.